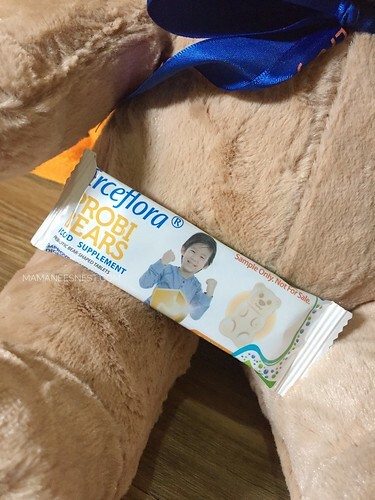 Erceflora Probibears | Protecting your child's Tummy has never been this Yummy! Tummy problems in kids? I hate it when I hear from my little lass that her tummy hurts or when my little lad seems to be constipated - it's even worse when they experience diarrhea. My always go to OTC relief would be Erceflora and I am sure as a mom you would be using the same product too, right? We hear about Probiotics constantly and this helps ease the child's digestive disorders and can even help make potty training manageable. Probiotics are live microorganisms that help maintain the balance of good and bad bacteria in the digestive tract. A human has about 100 trillion healthy bacteria and this bacteria helps in digestion as well as to defend itself against illness. Probiotics can be found in yogurt and beverages but the amount in these products may not be enough to aid. Let's thank Erceflora for coming up with Erceflora Probibears - which is a yummy tummy supplement with the combined 2-in-1 PROBI BOOSTER of Lactobacillus acidophilus (for effective treatment against infant colic and imprves immunity) and Bifidobacterium lactis (eases digestive issues like bloating and flatulence), which are good bacteria to help prevent diarrhea, upset stomachs, and other digestive illnesses to keep your kids happy and healthy. It's a chewable bear that smells and looks like chocolate which your kids will adore - my little lass and little lad absolutely approve! Get this at Mercury Drug starting this June 2018 for only 540Php (SRP) per box of 20's. 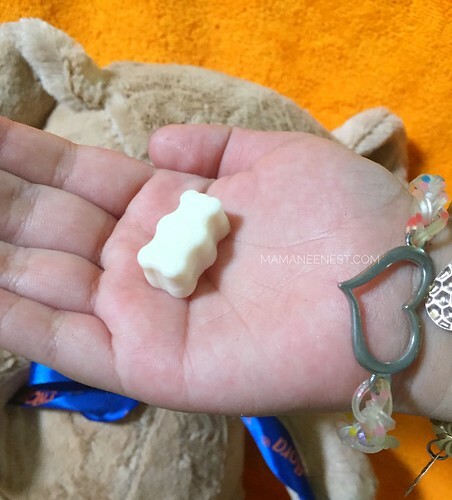 It takes only 1 bear a day to protect your child's tummy which is 27Php per bear! That small amount is a big investment towards their health. My daughter sometime’s gets constipated. I should try this for her. Thank you for the info mamanee..
probiotic is what kids really need to get their tummy ready with what they eat. Wow!!! It looks and sounds better than the lactobacilli drink she usually drink. As this one is more prescribed for their age. This a big help for my children Tummy.. Thanks for this blog. This med is big help for our lo.hindi rin kami mhirapan ipainum.i want to try for my lo because she have a sensitive stomach. Looks yummy yummy mamanee, parang gusto ko din charot. Anyway thanks for sharing this kasi super helpful to all parents na namomroblema sa kids nila like masakit ang tummy. Thanks for sharing this and its a big help to all mothers to keep their kids healthy.